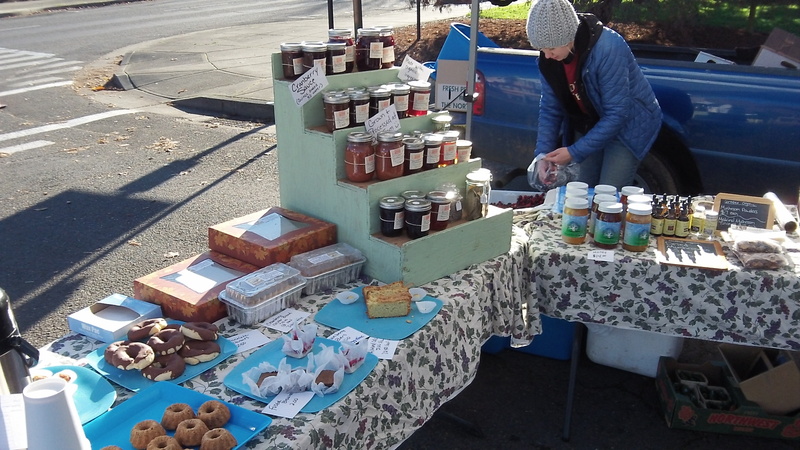 The last day of the 2015 Albany Farmers’ Market was a bit chilly.. They had sunshine and blue skies, but it was also the morning after the first night of subfreezing temperatures in parts of the mid-valley. Not the most ideal conditions for standing around in the breeze and waiting for customers. Hats off to the faithful few who showed up. 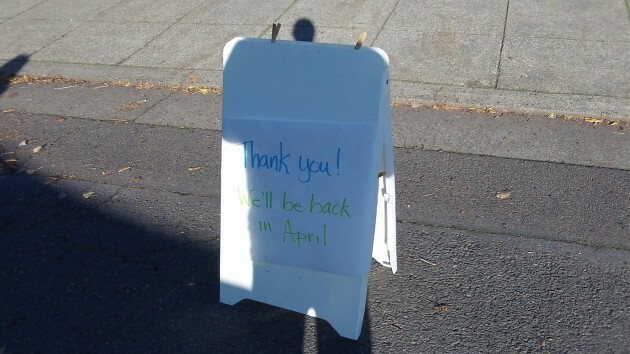 As the sign says, the Albany Farmers’ Market will return in April. That’s something to look forward to as we put up with another winter. I was there and made purchases. Very sorry to see the last day for this year. The Farmer’s Market is my favorite place in Albany since moving here from California in 2008. I stopped in on that last day, hoping to buy some local honey to last me through the winter. I was a bit toward the end of the morning though, and was unsuccessful. Ah well.